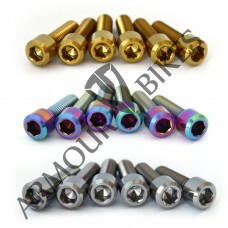 Our titanium stem bolts made of Ti-6Al-4V alloy, they combines light weight with high strength. Comes in natutal titanium and Oil Slick colors. 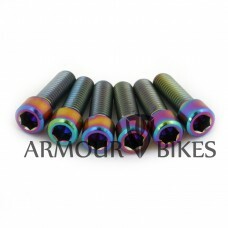 Oil Slick Titanium stem bolts will make your bike looks outstanding. 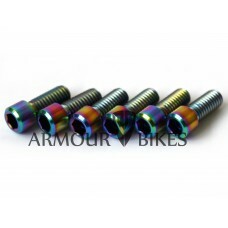 Titanium Stem Bolt Kit includes 6 metric bolts in beautiful oil slick sold or silver color.Can be us..
Titanium Stem Bolt Kit for Profile/Madera stems.Can be used to replace existing stripped or rusted b..